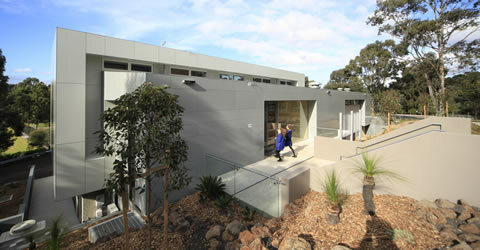 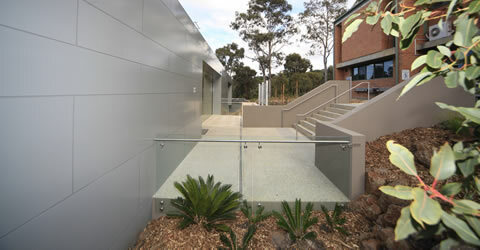 Construction of a two storey building cut into the side of existing hill featuring ground floor Music School and a Chapel and auditorium on the first floor. 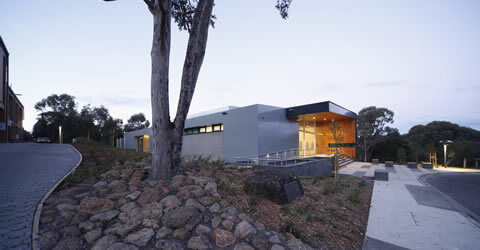 The Chapel and Music School is located on an environmentally sensitive site at the front of the school and will serve as a striking landmark to the college. 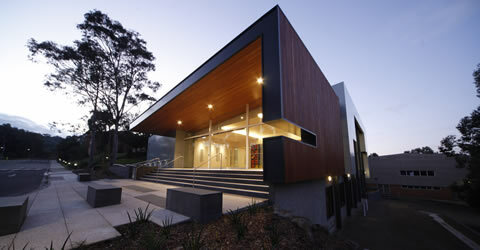 The building’s lightweight steel structure wedges into the sites embankment and the use of exposed aggregate grounds the building, contrasted with the use of lightweight materials such as the timber panelling and aluminium cladding. 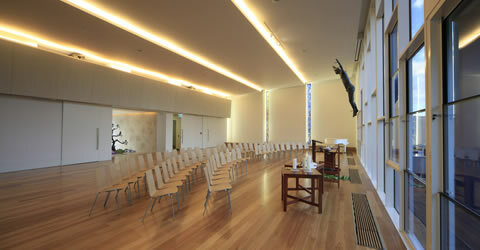 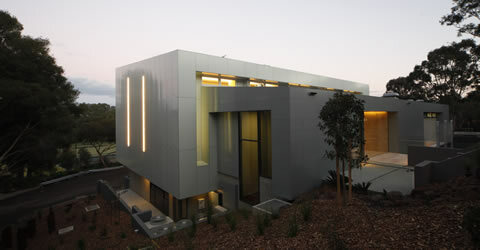 The Chapel is a light, tranquil and layered space with large expansive glass. 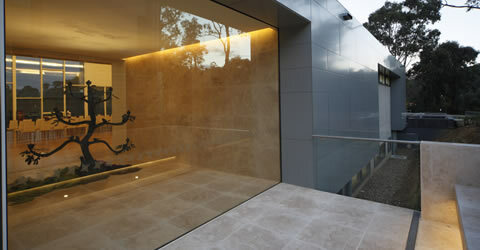 A small private Shrine with a “tree of life” sculpture by Pauline Clayton overlooks an outdoor prayer space for quiet contemplation and prayer. 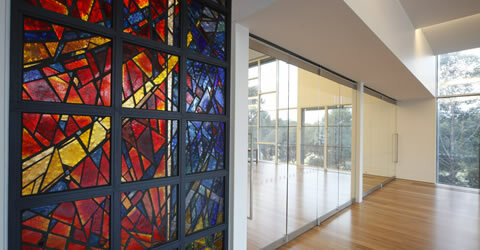 The Chapel is adorned with a series of sculptural glass windows by renowned glass artist, Janusz Kuzbicki.